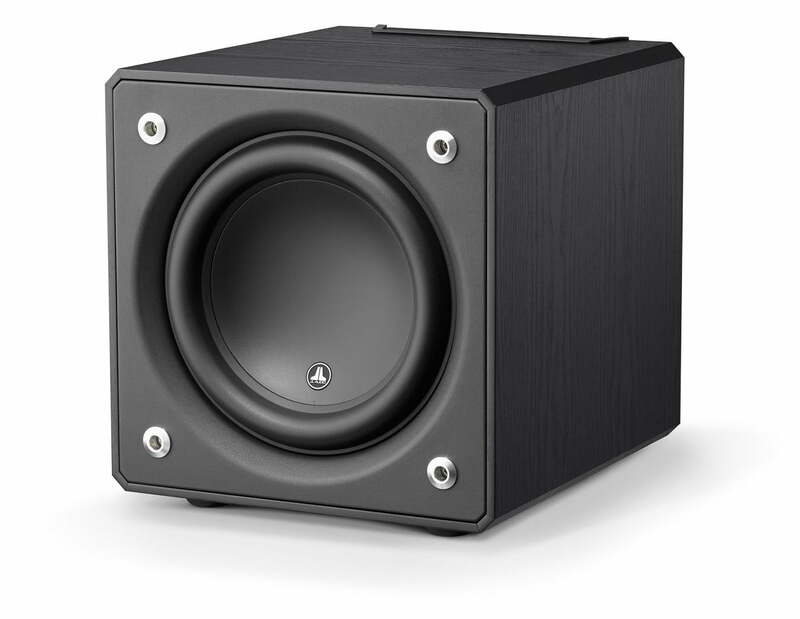 Any great powered subwoofer system must start with an exceptional subwoofer driver. The drivers in our E-Sub products are very impressive. The low-distortion excursion envelopes is capable of handling the most demanding program material and because of this releases great sound quality. To accomplish this great quality, JL Audio’s exclusive DMA technology is applied to shape, control and stabilize the drivers’ motor strength, ensuring linear behavior over a very long excursion range. Unlike typical steady-state modeling systems, our approach takes into account the dynamic shifts created by current flow and back EMF under real power conditions, with real program material. The payoff offered by DMA optimization is a driver that more faithfully tracks its input signal at all listening levels, leading to superior bass definition and dynamics. The extreme mounting depth of the E-Sub driver is very deliberate. It permits wide gaps to exist between the three suspension elements (the rubber surround and the dual spiders), imparting exceptional mechanical stability over the driver’s full excursion range. 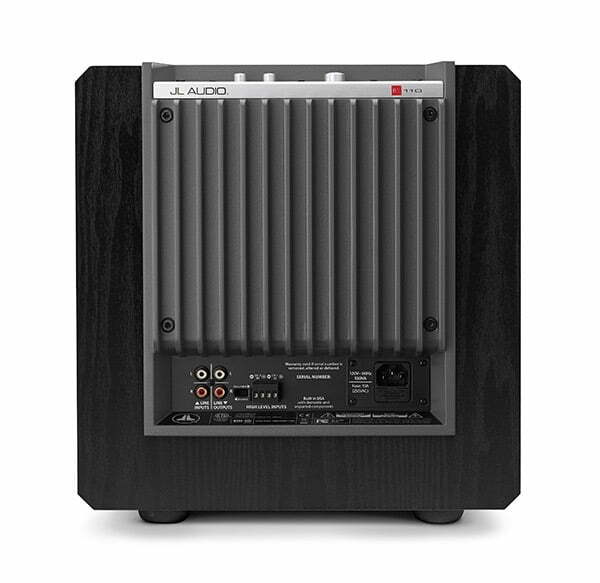 This further improves linearity, reduces distortion and enhances long-term reliability. In a stroke of engineering elegance, the steel front mounting flange of the E-Sub driver also forms the entire front baffle of the finished product, while the back-plate of the driver is threaded and bolted to the rear wall of its enclosure for support. To power these innovative drivers, we engineered a completely new switching amplifier with a regulated, switching power supply. 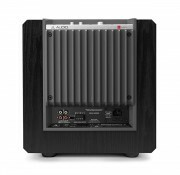 This approach helps make the amplifier more compact, lightweight and efficient, while still delivering ample, clean power to fully exercise the E-Sub driver’s performance envelope. 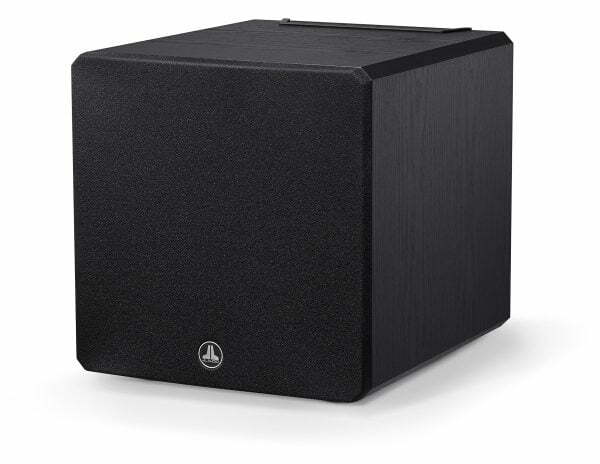 The built-in, active crossover is a true two-way, 4th order Linkwitz-Riley design, with a low-pass filter feeding the subwoofer’s amplifier and a high-pass filtered signal exiting through a pair of line outputs. When the on-board crossover is defeated, as is typical in a home theater installation, the line outputs deliver a pass-through signal that permits multiple E-Subs to be interconnected in a ‘daisy-chain’ arrangement. Switchable polarity and a fully variable phase control round out the signal processing section. All signal processing is performed in the analog domain, ensuring very low latency in critical applications.